I have not written anything specific for this blog in a long time, but focused my efforts on writing for Apothecarysgarden.com and re-posting here when the topic is oleoresins. However, I am collating all the research I have collected over the years on Boswellia, Commiphora and other resin bearing trees, and hope to set up reference pages here in the very near future. 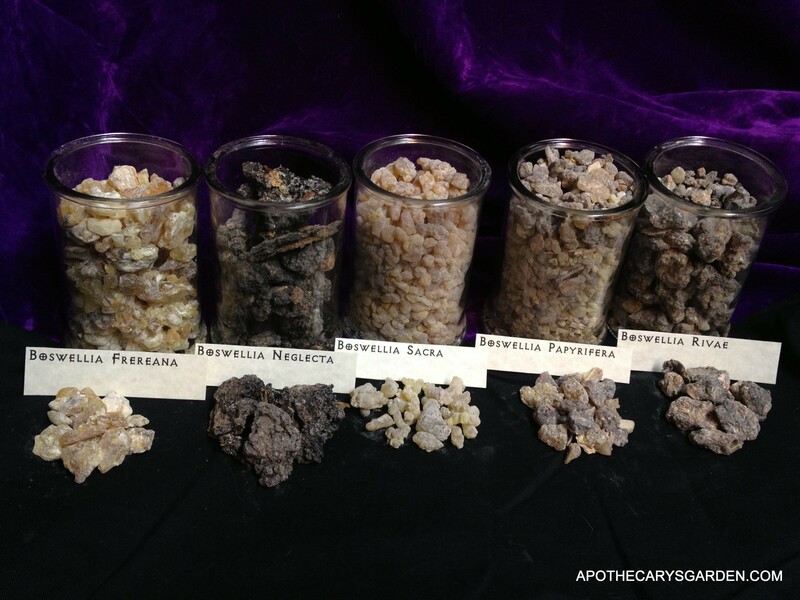 In the meantime, the copy I wrote for my Frankincense Neglecta infused oil or extract in the shop has some good content and should have more exposure, so I will share it here for those who’s interest lies in all facets of Frankincense. 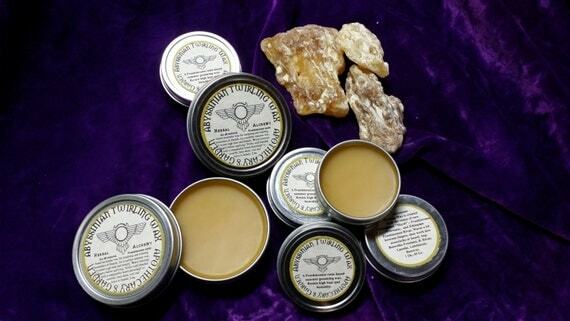 Frankincense Neglecta heart and chest balm. 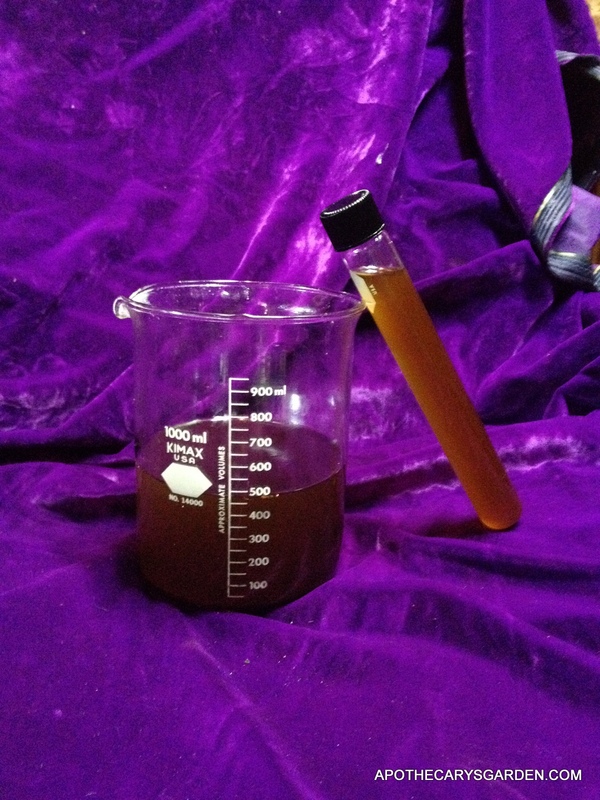 I originally made this oil over two years ago as a cough/cold and decongestant chest rub, but experience has taught me it has other unexpected and powerful effects on our bodies and minds. Though Frankincense Neglecta oil does work as a decongestant when rubbed on the chest, it has shown consistent and striking results when used to address the symptoms of anxiety, panic, heaviness and tightness of the chest due to stress. All this through external application of the oil. 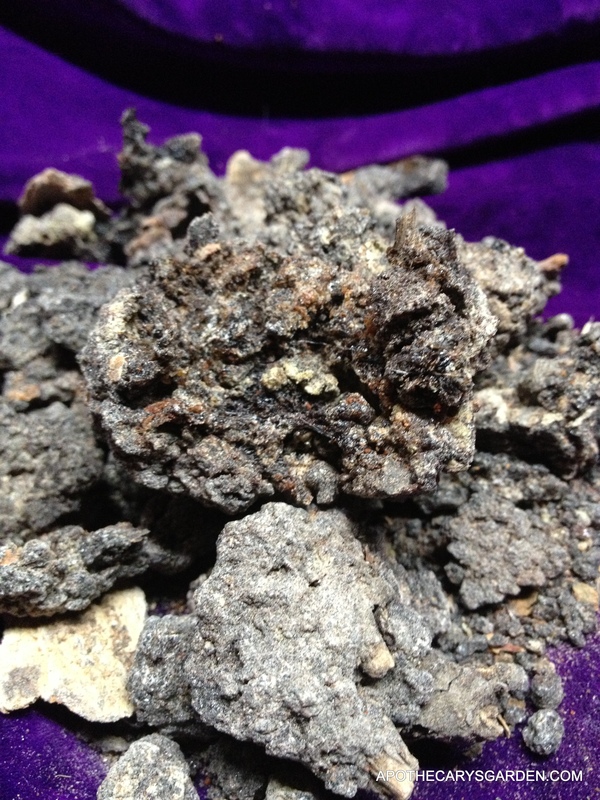 Like the Frankincense Sacra/Carterii we are accustomed to, Frankincense Neglecta from Ethiopia is historically used as incense, medicine and a source of fragrant essential oil for perfume and aromatherapy. In common with the rest of the Frankincense family, Frankincense, or Boswellia Neglecta is ruled astrologically by the Sun and has a strong affinity with the heart and chest, physically, emotionally and on an energetic level. Like the Sun, all types of frankincense are warming, anti-inflammatory, expand and brighten the perspective, and promote heightened feelings of spirituality and wellbeing. Frankincense Neglecta. Don’t let appearances fool you. Aromatically, B. Neglecta has the warm, sweet amber notes of Frankincense, and the uplifting bronchia dilating freshness of sweet Balsam Fir trees. As the other Frankincense types, it helps calm the mind and is conducive to meditation, clarity of thought and spiritual pursuits. After more than a year of using an oil extract of this oleoresin and sharing it with friends and customers, I can say with certainty that for those who have used it as a chest rub, it has the following effects. It dramatically reduces the feelings of anxiety and panic, the emotional distress, mental anguish and confusion and the physical knife-sharp pangs in the heart area one can experience with anxiety. It eases the breath physically and emotionally, lifting feelings of heaviness and tightness from the chest. Some, who suffer from Asthma, have found it alleviates the tightness, shortness of breath and the sense of panic that accompanies an asthma attack. I find it brings a feeling of deep calm, to mind, body and heart, and supports a deep and restful sleep. Will it have the same effect on everyone? So far the results are consistent, but further input is needed. Fresh Frankincense oil extracted from Boswellia Neglecta. All these effects are experienced through rubbing this oil on the chest. A good half minute spent in this type of self-massage seems most effective. Whether this is due to a conscious act of self-care, or because the rubbing motion stimulates blood flow and carries the active phytochemicals more quickly through the body, or both, I can’t say. What I can say with certainty is that it works for me and those who have tried it. In my experience, within 5-20 minutes, it dramatically reduces the sharp chest pain that anxiety and emotional trauma can cause. I call it my heartbreak medicine. I hypothesize the effect is caused by the action of Incensole and Incensole acetate carried through the bloodstream and crossing the blood-brain barrier. Research to date on the chemical composition of Boswellia Neglecta is conflicted. Some studies show it has no Incensole content, other studies show it has a very high content of these compounds. Further research and testing is needed. If it really does work consistently for the issues above, then it could be a very valuable medicine to many of us. Since the chemical compounds in this oil seem to have such a direct effect on our physiology, we need to assume these chemicals may also interact with medication and other chemical compounds present in our bodies. There is a dearth of research on the Frankincense compounds, their effects on us and their interaction with other chemicals, I suggest using it with caution. Start small and see how you body feels about it. Ideally, if you are on medication, I suggest you work with a qualified alternative health care provider. Do not take it internally, there is no need since it works just fine applied externally. This extract/infusion is produced using extra virgin cold pressed olive oil, whole fresh Frankincense Neglecta oleoresin from Ethiopia and Vitamin E. as a preservative. 1% distilled essential oil of Boswellia Neglecta is added after extraction to compensate for volatile oil evaporation during the process and nothing else. It is an “Astrodynamic” preparation, processed in accordance with traditions and tenets of medical astrology and traditional Plant Alchemy. Ancient wisdom and methods of preparation that we are just starting to reclaim from our common cultural pasts. I believe that each herb, if properly processed, should be expected to perform and excel on its own. These ancient techniques help each herb shine its brightest. This is an extract of the whole oleoresin and not only the essential oil. The resin of these saps contain their own set of therapeutic phytochemicals which are lost during the distillation of their essential oils. I believe using the resin and essential oil in their naturally occurring proportions maintains a synergy, wholeness and efficacy we lose when we use only the isolated essential oils. We have become shortsighted, assuming the essential oils of all plant products offer us the complete therapeutic spectrum of each plant. This is especially obvious when we find the whole sap contains only a minute percent of volatile, or essential oils and a much greater proportion of phytochemicals and healing compounds in the resin portion. Even the water-soluble gum portion of many oleoresins has traditional healing applications, but has had much less investigative research directed to it. You will also find a supply of fresh, fair trade, co-op harvested Frankincense Neglecta and other Boswellia types for sale in the shop. 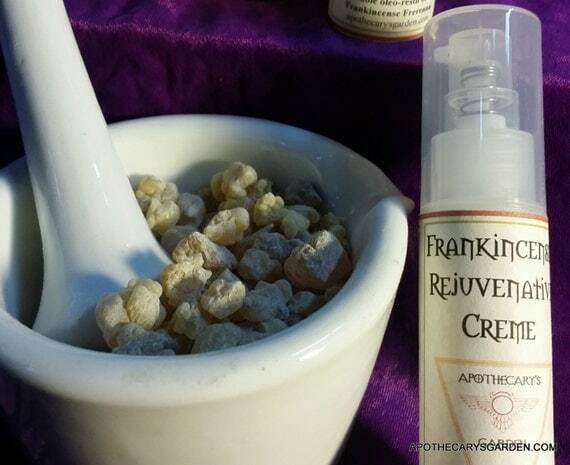 Whether you make your own or buy my special preparation, I believe Frankincense Neglecta is something many of us could benefit from. For a change, I’m going to re-blog a post from Fairtrade Frankincense to Apothecary’s garden and start putting a little more time into fleshing out my dedicated Frankincense and oleoresin blog. 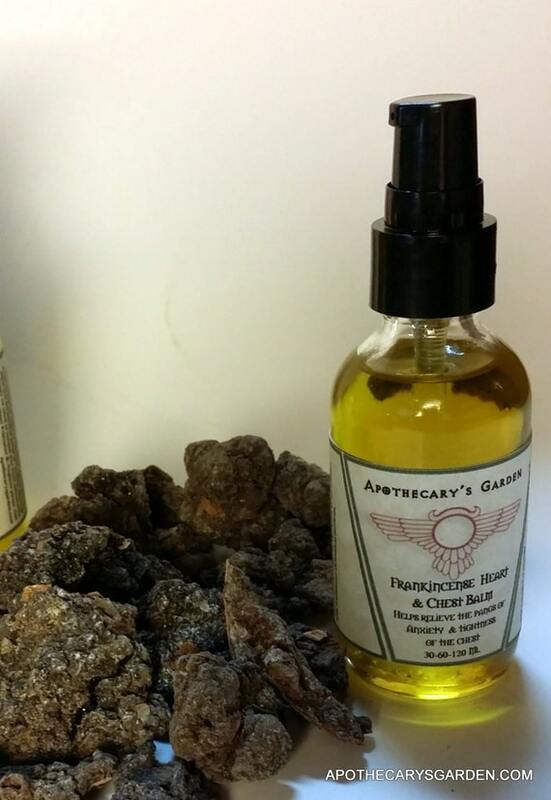 Nice post on Frankincense Neglecta! May I ask how you would compare Neglecta to Rivae, in terms of the mind? I haven’t explored B. Rivae as deeply as B. Neglecta. So far my comparison of the 2 is limited to their fragrance profiles. Hopefully, in the near future I will spend more time with the lovely Frankincense Rivae and have a better answer for your question. Did you send the link to my email? Hi Danielle. I have the essential oil of Frankincense Neglecta in 10 Ml. bottles in the shop here-https://www.etsy.com/listing/158914558/frankincense-neglecta-essential-oil-10? but I am out of the infused oil of this Frankincense. Please check back in a few weeks, I am expecting new fresh resin. Dear Dan, Thank you so much for your posts and your willingness to openly share information with the world. I just completed my first batch of frankincense resin oil . I only had a few learning curve bumps along the way which I will be able to correct in my next batch. It was worth the time it takes to process the water bath extraction of the resin. There was something so special about holding just the pure boswellic acid resin in my hand knowing how healing it would be when added to the oil. Excellent! It is gratifying knowing people are benefitting from these recipes and methods. Ancient medicine we are reclaiming without relying on Big Pharma. Keep up the great work Lynette! Why can’t boswellia neglecta be dropped on the tongue as 1 drop? Hi Wendy. I see no reason why a drop of the oil infusion of Frankincense neglecta can’t be placed under the tongue. However, I don’t agree with those that counsel taking pure essential oils internally and indiscriminately without the guidance and supervision of a trained healthcare professional.